At Car Connection, we can take care of all of your automobile repair needs. Since 2001, we have been providing full service car repair and maintenance services to New London, CT and the surrounding areas. 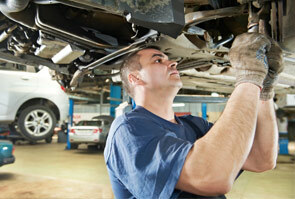 We will do all the necessary work to keep your car running like new. With experienced and trained technicians, we have the knowledge and skills necessary to ensure your vehicle receives the best possible care. It is our dedication to clients that sets us apart from other repair shops like us. Our prices are always fair and we will discuss one-on-one with you the work that needs to be done to your vehicle and why. We will not start performing any repair work until you have agreed to it. Owner, Ray Suarez, has been performing mechanical work on cars since 1965. He continues to educate himself and his staff on the changes occurring in the automobile repair world in order to give his clients the highest quality of service. 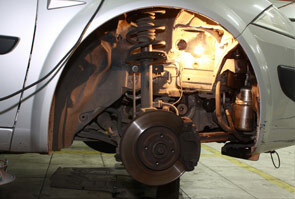 Factory scheduled services for your vehicle means you can drive your vehicle with peace of mind. For all of your auto repair and maintenance needs, call Car Connection today at 860-442-4668 to make an appointment for your vehicle! Since 2001, Car Connection has been the automotive repair shop to trust throughout the New London area. Bring your car to us to find out why! Whether your car needs new brakes, an oil change, new battery, or engine repairs; our team of knowledgeable technicians can get the job done. With a range of great auto repair services, you won't need to go anywhere else! Have Questions About Your Car? If you have any questions or concerns about the services we offer, don't be afraid to reach out to us. Our team is always happy to answer any of your questions and provide you with the answers you need.